As a gardener, I sometimes difficult to resist purchasing something new for the landscape especially with the vast array of colorful plants on display at the big box stores. This time I caved to a Salvia plant, its aromatic fragrance wafting in the breeze, beckoning me to buy the bluish-purple blooms. 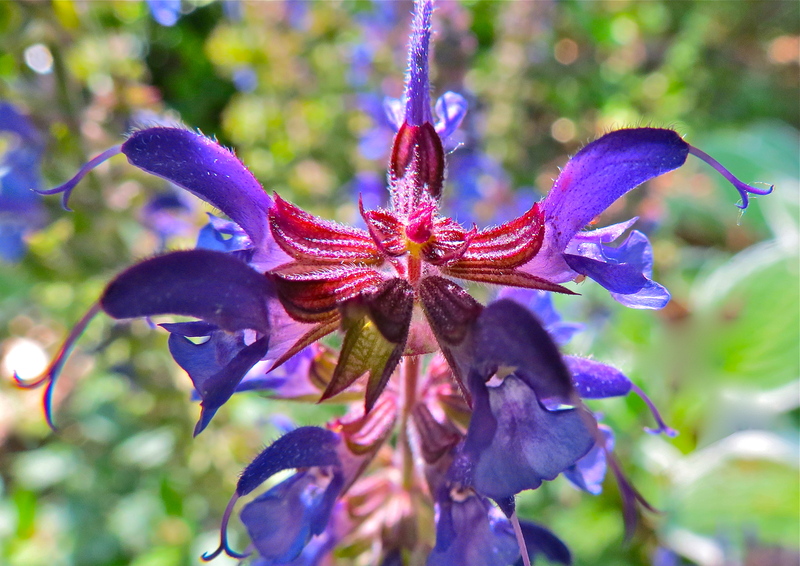 Salvia is the largest genus in the mint family, its name comes from a Latin word meaning to feel healthy. 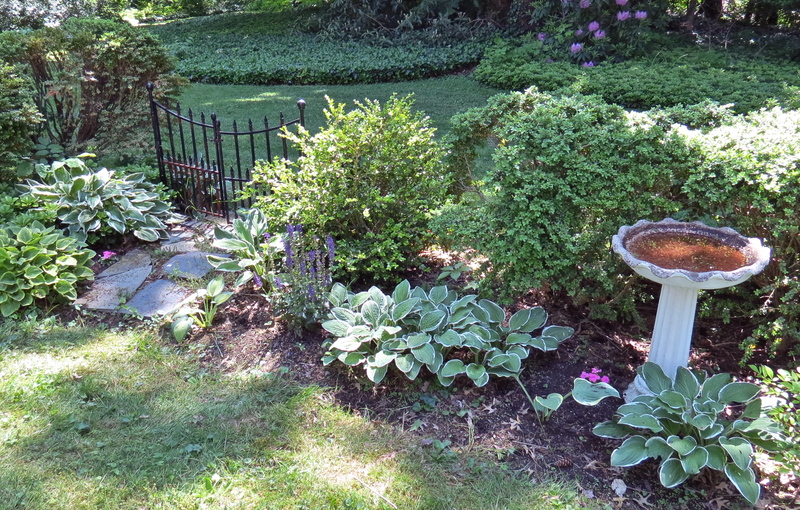 The tiny flowers line up and down tall stalks making a subtle contribution to the color in the garden, as shown in this photograph, just right of the flagstone path. The micro level, however, reveals a complex and multi-colored flower. The tiny hairs secrete oils that fill the air with the plant’s distinct scent.